– More of the feeling terrible, all the time. I wish I could stop including this in all my updates because I hate to bore you, but also I really really really hate feeling terrible all the time. I’m pretty much on self-administered bed rest at this point because I’m too ill to do anything else for the most part. – I’m pretty upset that I haven’t been here as much as I’d like. I know I can’t expect myself to post every day right now, but this place is really important to me. It keeps me motivated and inspired and happy. As I mentioned, it’s the main thing I do for myself and it’s a labor of love. I do have a few posts in the works that I just need to get my strength up to finish — a recipe for Unglamorous Chili, a Skippy update, a Thrift Store Gore special, Thrifty Giving and some Reuse Roundups — so hopefully soon there will be more activity here than just snapshots and outfit posts. – We are still having some rainstorms here (thank goodness) but it’s really getting warmer and the blossoms have emerged and my poppies are opening and turning their bright golden faces to the sun. It’s so weird to have all this warm weather while a majority of my friends are still posting photos of snow piled up to their waists and tweeting about school closure for yet another snow day. It seems like we live not only in different countries but different hemispheres. I’m having some sort of down under summer weather while the rest of America remains in the northern hemisphere’s winter. America is so vast I usually feel like I live in a different country at least some of the time, but this is the first year I’ve felt like I’ve been living in a completely different hemisphere. – My Jenn, picky about fonts, and her husband, Chris, have driven up from LA to unselfishly offer their time and ability to wash baby bottles and help Anthony set up the nursery while I wear my bossy pants direct traffic from the couch. I have so much to do that I just can’t physically manage on my own. Poor Anthony has been picking up the slack with the house and the meals and the daughter we already have plus his invalid wife and classes he’s taking that he can only accomplish so much in a 24 hour period. I’m so grateful for their help. – I am officially so huge that every time my mom sees me she laughs uncontrollably. – While perusing Etsy out of sheer laying on the couch boredom I came across this beauty of a mini-deformed hand cookie cutter. It was so weird and awful that I had to buy it because I can’t think of a better Halloween treat than dozens of tiny, creepy deformed hand cookies on a plate. – Lovely presents from @mariannecanada came in the mail! She sent us a few lovely goodies (including a super cute YOU ARE GETTING SLEEPY poster for the baby’s room, which I couldn’t find for days because Isobel immediately squirreled it away the moment my back was turned and used it to decorate the inside of her princess tent. Thank you so much, Marie. That was so incredibly thoughtful of you. – Yesterday Isobel informed me that she wouldn’t be playing with the neighbor kids anymore. Once baby Elias got here, she said, he was going to be her new friend and she was going to play with him every day and never wants to play with anyone else. Sponsor Spotlight: Little Big Bazaar. Now featuring Fairy Houses and Fairy House Accessories! Follow Friday: Gun Mostly Optional. Photos from our trip to Reno and the best tweets ever. 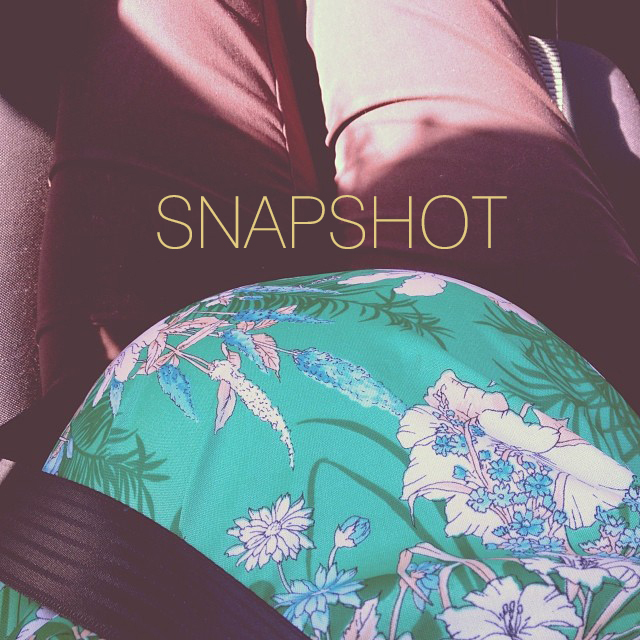 Snapshot 02.26.14. Transferring my pregnantness to Anthony, fixing Angela’s pants, and appearing on Maury. Thrifted Maternity Closet: Week 34. It’s pretty obvious I don’t pose Isobel for shots based on this post alone. Sponsor Spotlight: Little Big Bazaar. A few of my favorite things. Pope Francis Accidentally Drops the F-Bomb During Vatican Address. Most likable Pope ever. What four months on Mars taught me about boredom. I spoke to the author on twitter after reading this piece because when you endure long periods of illness you can also become affected by chronic boredom. One of the things he said to me was “Sometimes we are more complex and easy to unhinge than we think.” I agree except that I personally know from my struggle with panic disorder that I’m personally pretty easy to unhinge. Life. My first post ever. Little Big Links: The Patio. It’s been four years, and I still love all of these. 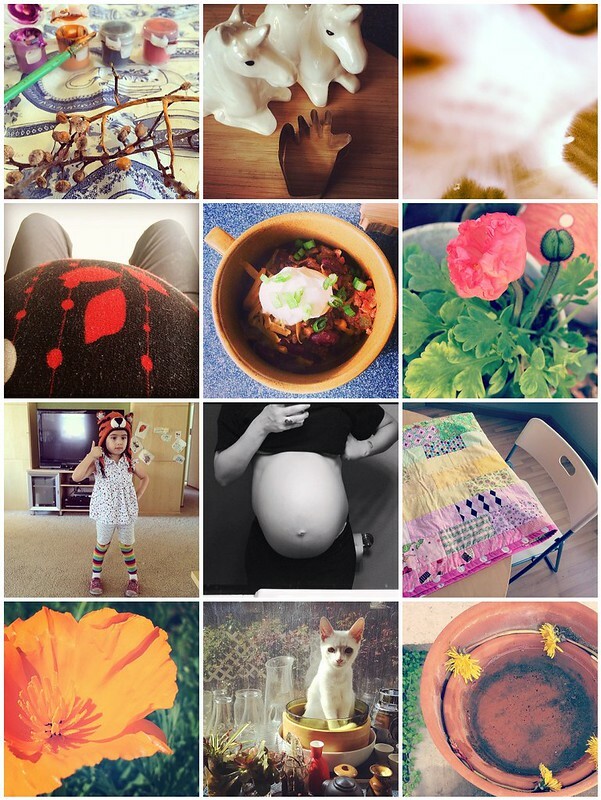 Snapshot 3.28.12 Blogoversary! Celebrating 2 years of Little Big. Little Big Kitchen: 10 Ways to Eat Your Greens. Health-tastic!